That’s all I have to say this week. 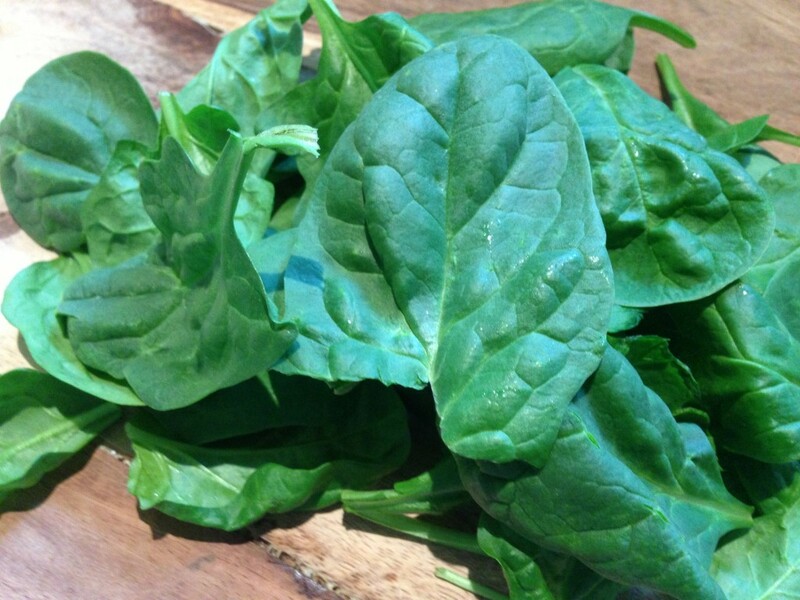 I really do love spinach. I like it raw in a salad with walnuts, pears, and a nice vinaigrette. I love it sauteed in a little olive oil and minced garlic. And, I really think it’s great to add a heaping handful to my fruit smoothies in the morning. Oh, and one more thing, I like it tucked in an omelette with a bit of goat cheese. 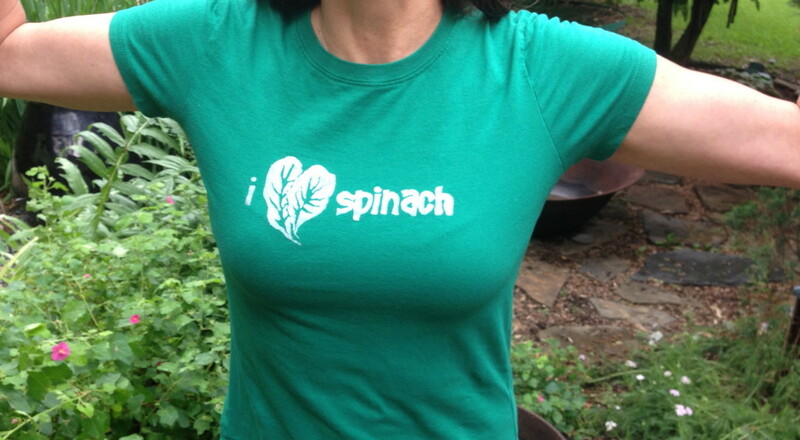 Now, go to Inexplicable Confetti to buy your very own I Love Spinach t-shirt, then go eat some spinach! This entry was posted in Eggs, Recipes, Salad, Sides, Smoothies, Spinach, Uncategorized and tagged Easy & Quick, Eggs, Leafy Greens, Omelettes, Salad, Sides, Spinach, Vegetables, Vegetarian, Walnuts. Bookmark the permalink.